AECOM and Van Alen Institute, with 100 Resilient Cities – Pioneered by The Rockefeller Foundation, today announced four finalists for Urban SOS® 2017: hOUR City, a global student ideas competition that challenged multidisciplinary teams to connect more people in regions around the world to the opportunities found in contemporary cities. An “hour city” radius — the distance people can travel in one hour — has historically defined the boundary of a city. However, with the forces of globalization and dramatic geographic, social and economic shifts affecting cities everywhere, the time has come to imagine new ways to connect people in suburban, rural and isolated urban communities. 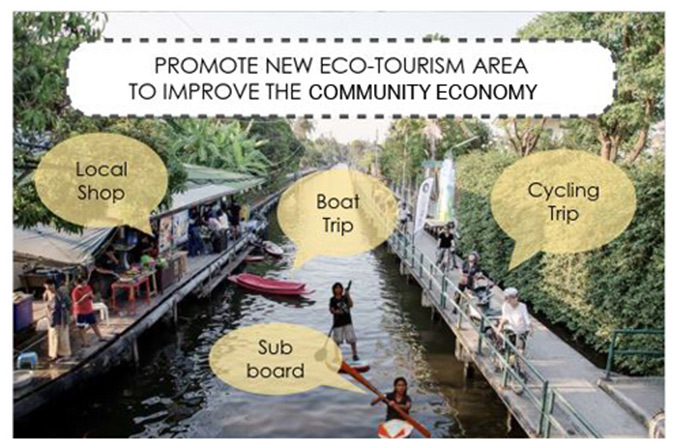 Submitted by Wilaiwan Prathumwong, Perada Plitponkarnpim and Patcharida Sricome, all from King Mongkut’s University of Technology Thonburi, the team developed a new, formalized multimodal pathway along one of Bangkok’s many underutilized canals, connecting isolated residential communities to public transit. Submitted by Vincent Clement Agoe, Derek Lazo, Serena Lousich, Mark Wessels and Sarah Skenazy, all from the University of California, Berkeley, the team connects communities suffering from high rates of chronic diseases (e.g., asthma, diabetes, etc.) to the physical spaces and resources of healthcare providers, using traffic calming, recreational opportunities and new transit options. Submitted by Sean Cullen and Chris Millar from Queen’s University Belfast, the team proposes a joint-housing and economic development plan in central Belfast, tailored to young renters aged 18-35. 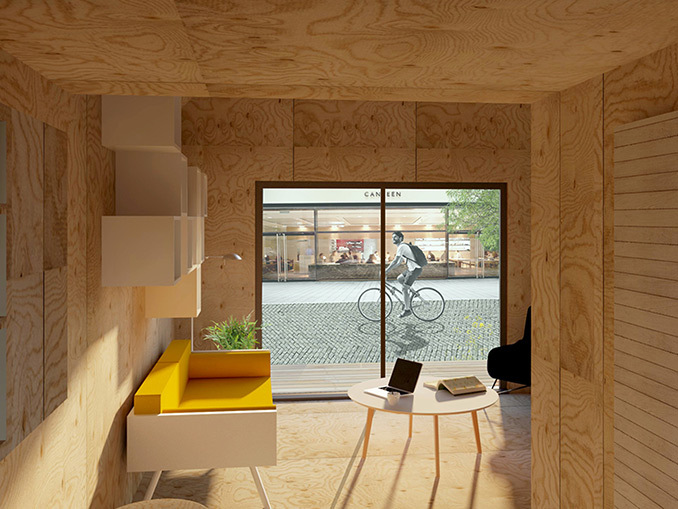 On publicly-owned vacant sites, the team envisions new pre-fabricated micro-units that would save construction time and costs; tenants would set aside 20 percent of their monthly rent as savings. 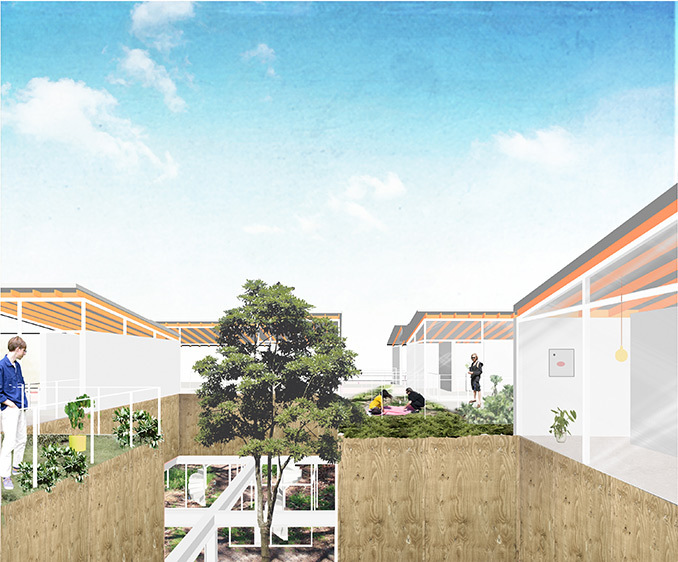 Submitted by Lisa Ann Garner from Universität Der Künste and Lauren Garner from RMIT University, the team developed designs and a planning process for new types of housing in Melbourne’s Middle Suburbs to address the region’s housing shortage and better meet the needs of residents. Launched in May, hOUR City invited students to tackle urgent transportation, housing or economic development challenges facing cities around the world and to create outcomes that promote equal access to opportunity. 86 teams entered, comprising nearly 300 students from 31 countries around the world and representing 114 unique academic disciplines. hOUR City convened juries of leading professionals from design, business, government and other sectors in Hong Kong, London, New York and Sydney who selected the four finalist teams. The finalist teams will compete for up to US$15,000 in prize money; the winning team also will receive up to US$25,000 of in-kind support from AECOM to realize a pilot project from the team’s proposal. The four finalist teams will now work with experts at AECOM, Van Alen and 100 Resilient Cities to further develop their proposals, and will present their ideas in Los Angeles before a final jury and live audience on January 23, 2018. The 2017 challenge is the eighth in the Urban SOS® student ideas competition series founded by AECOM, a premier, fully integrated global infrastructure firm, and the third challenge hosted in collaboration with Van Alen Institute, a design nonprofit with a 120-plus-year history of organizing competitions and with 100 Resilient Cities – Pioneered by The Rockefeller Foundation. Last year’s Urban SOS competition, Fair Share, challenged teams to combine design with the tools and technologies of the sharing economy to create more equitable access to resources, envision more sustainable built environments and enrich the lives of urban residents. The winning team, comprising students at Washington University in St. Louis, proposed reusing United States Postal Service (USPS) post offices in Los Angeles slated for closure and excess capacity within the USPS distribution network to collect, store and deliver surplus food to neighborhoods with limited food access. Team members include Irum Javed, Anu Samarajiva and Lanxi Zhang, students in public health, architecture/urban design and landscape architecture/urban design. The team is currently developing a pilot initiative to be implemented in Los Angeles later this year. Images Credit | As captioned.